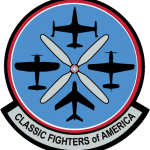 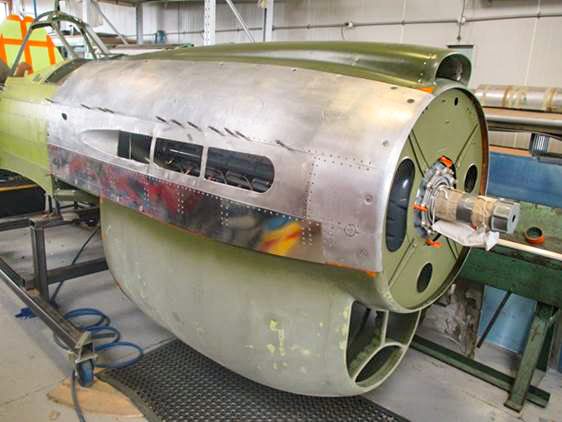 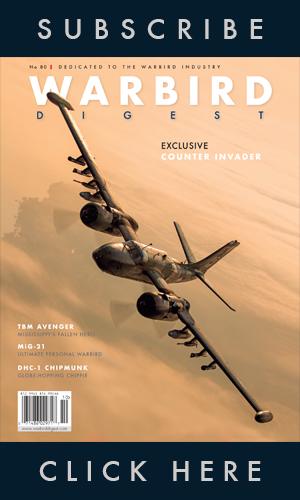 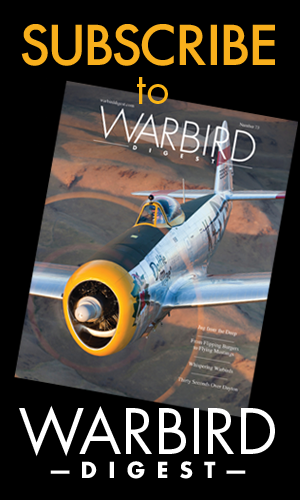 WarbirdsNews has just received the latest report from Chuck Cravens on the restoration of Texas Flying Legends Museum’s P-47D Thunderbolt 42-27609 at AirCorps Aviation in Bemidji, Minnesota. 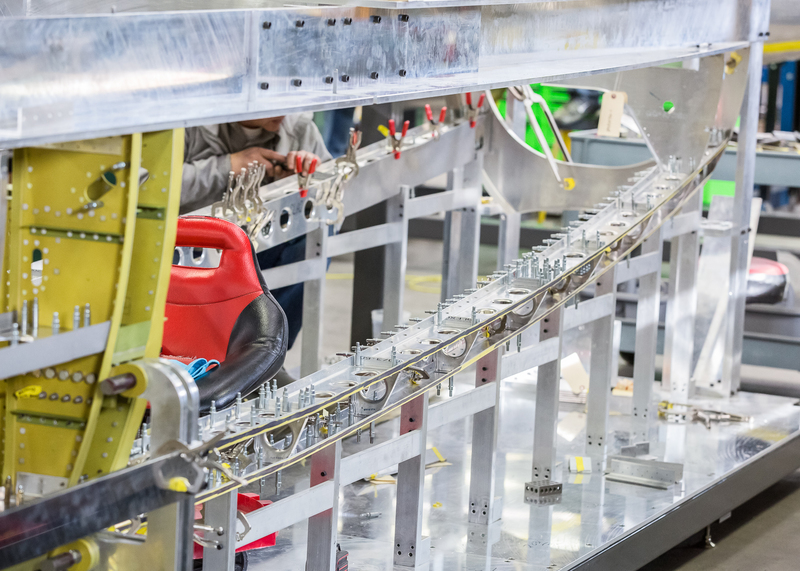 We thought our readers would be very interested to see how the project has progressed in the intervening two months since our last article on this important project. 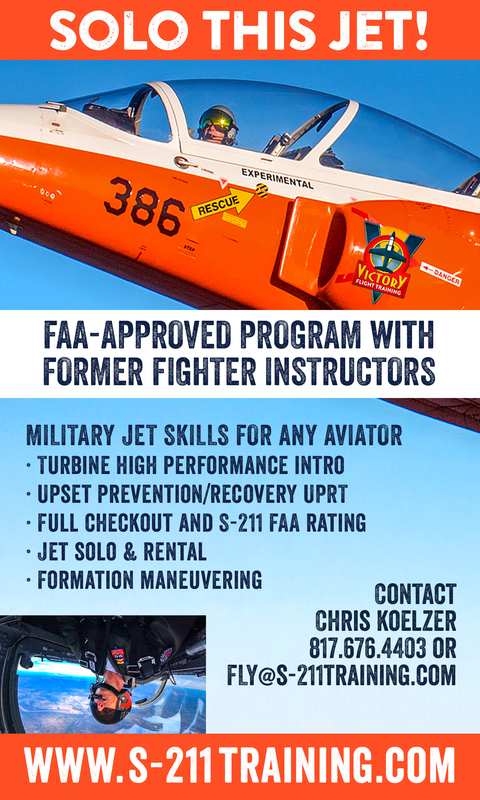 So without further ado, here it goes! 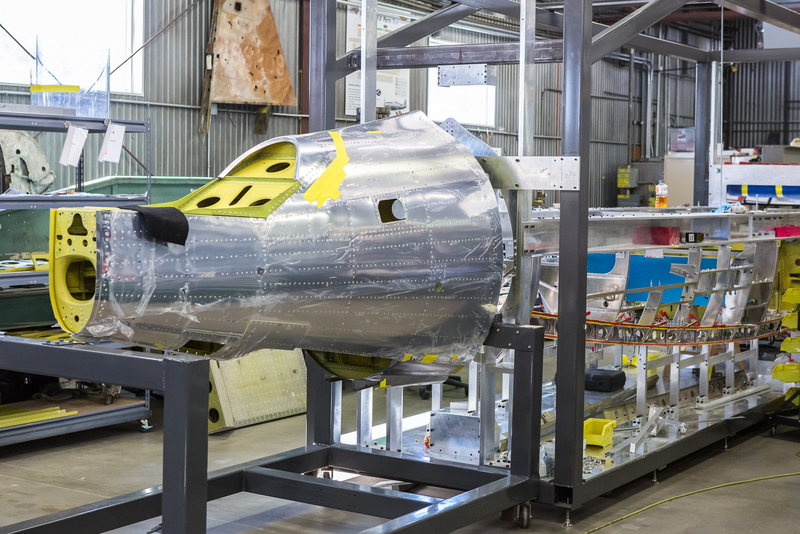 Remarkable progress has been made on the forward fuselage structure this month. 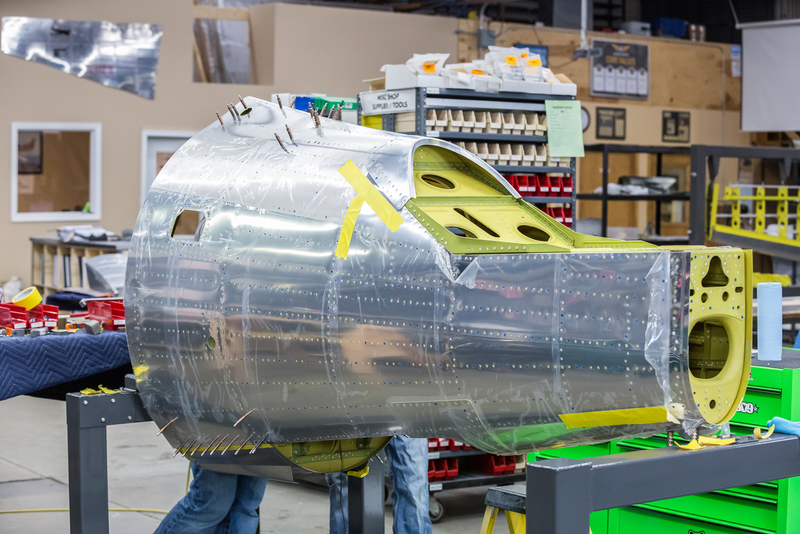 While the guys have spent some time on the final touches to the tail cone, the main emphasis has been building the internal structure that gives the fuselage that curvaceous, immediately recognizable, Thunderbolt form. 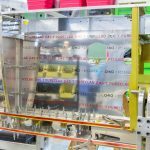 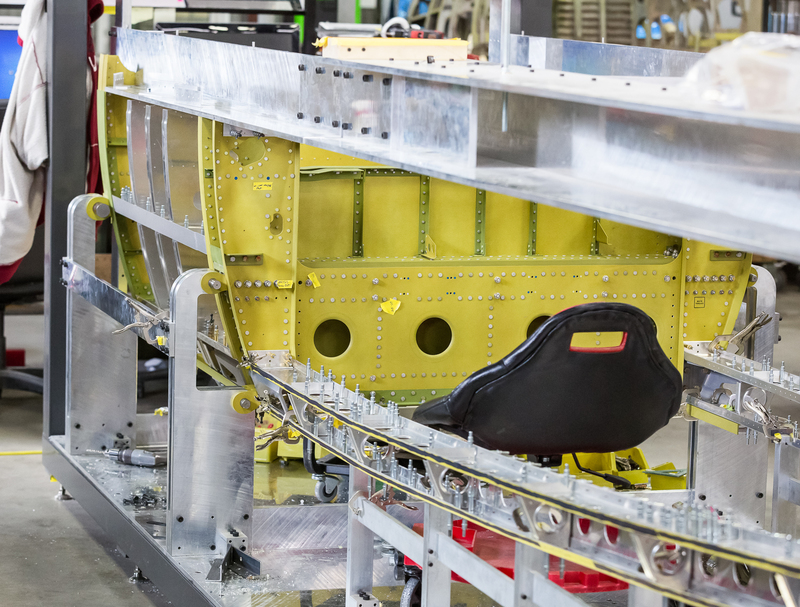 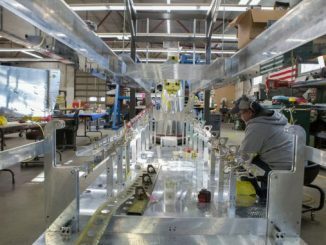 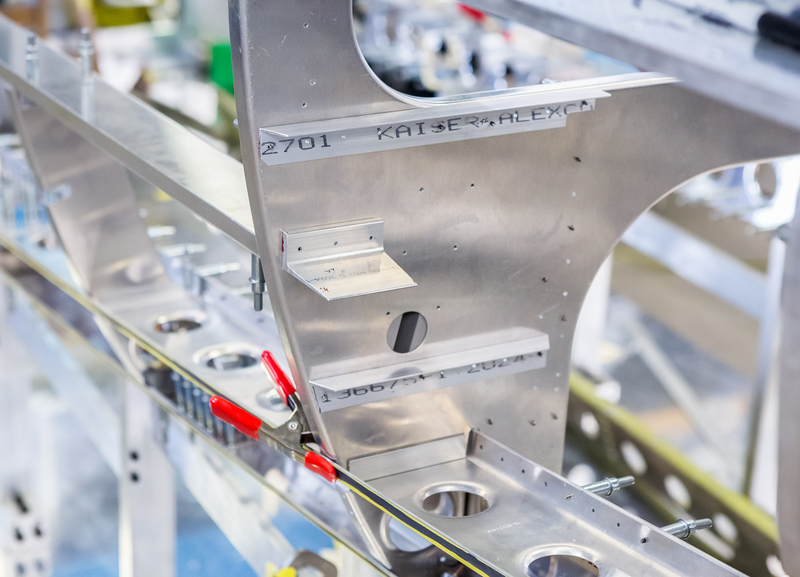 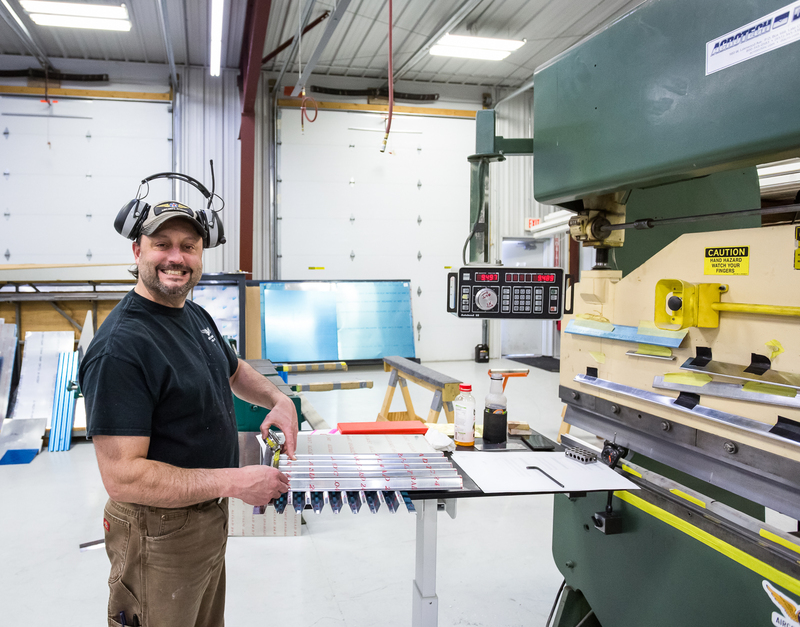 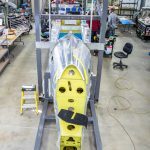 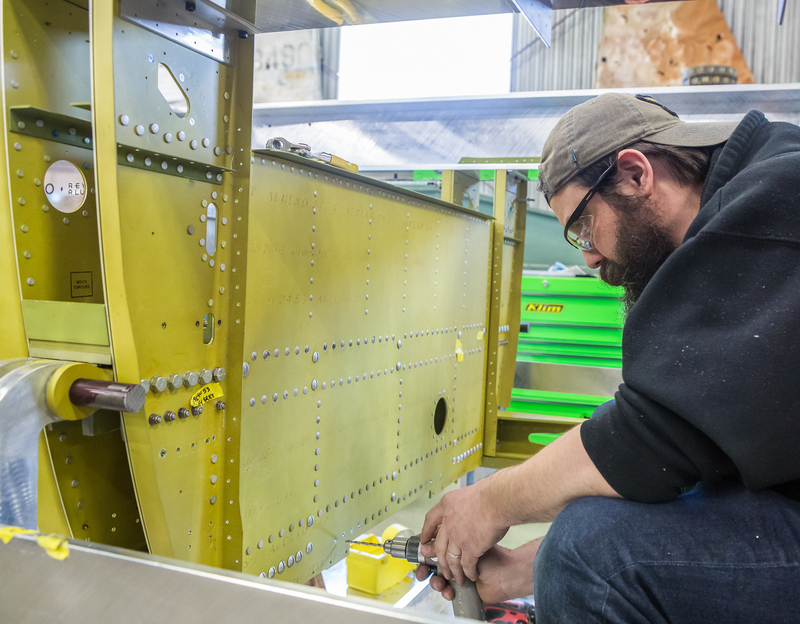 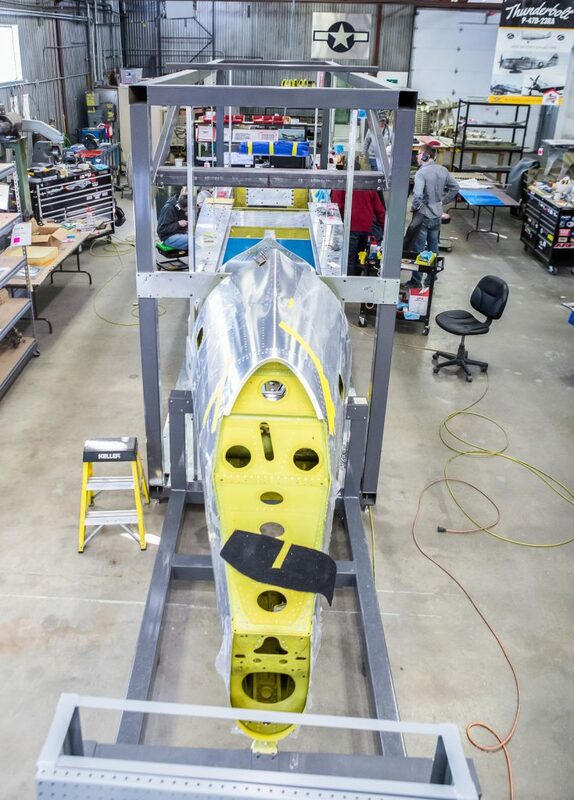 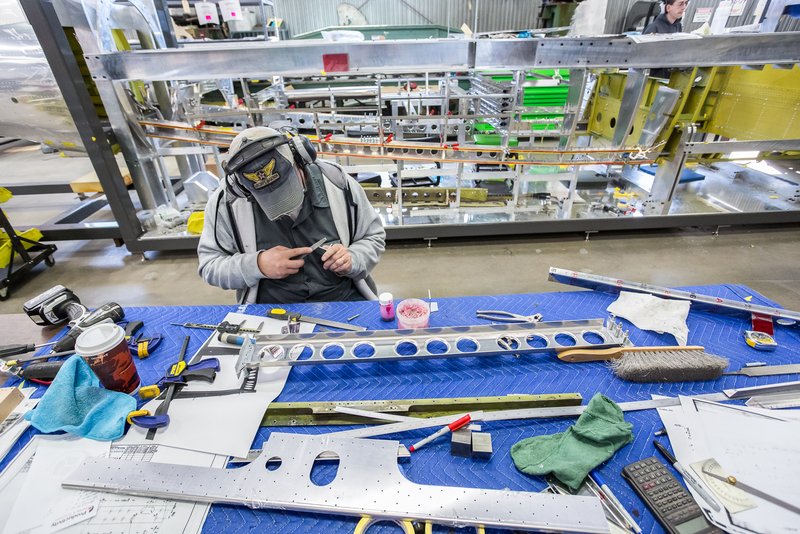 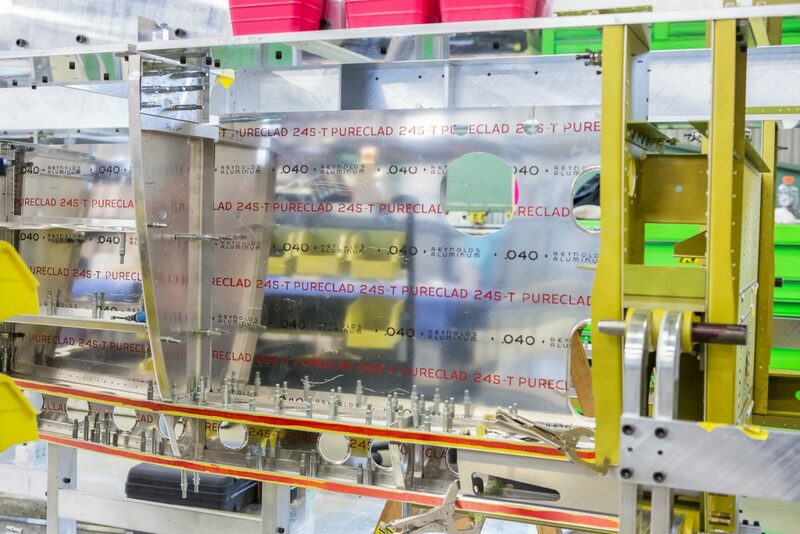 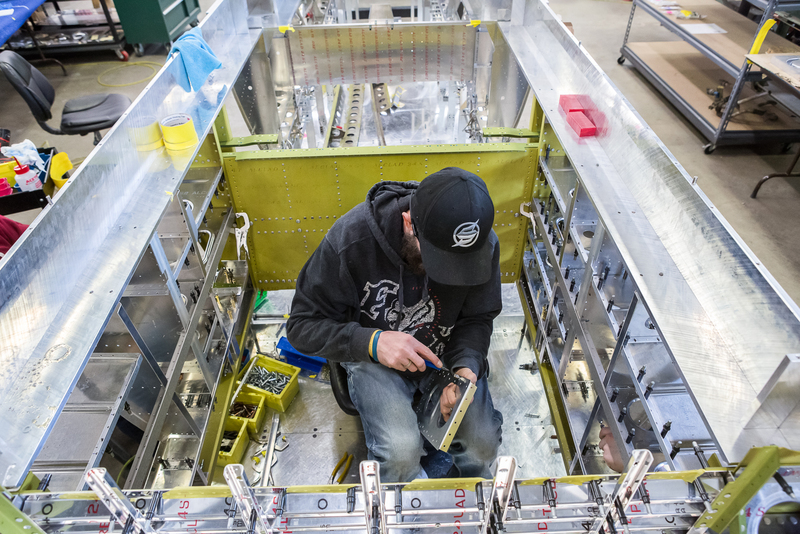 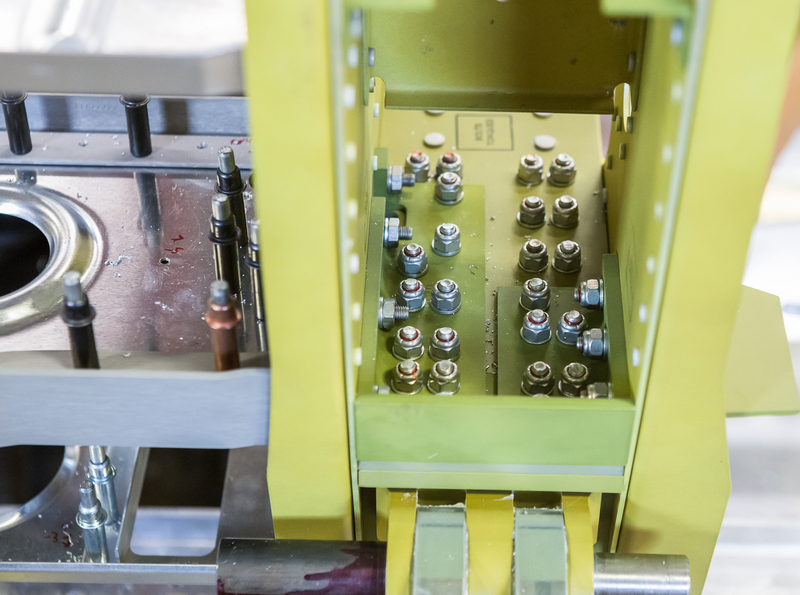 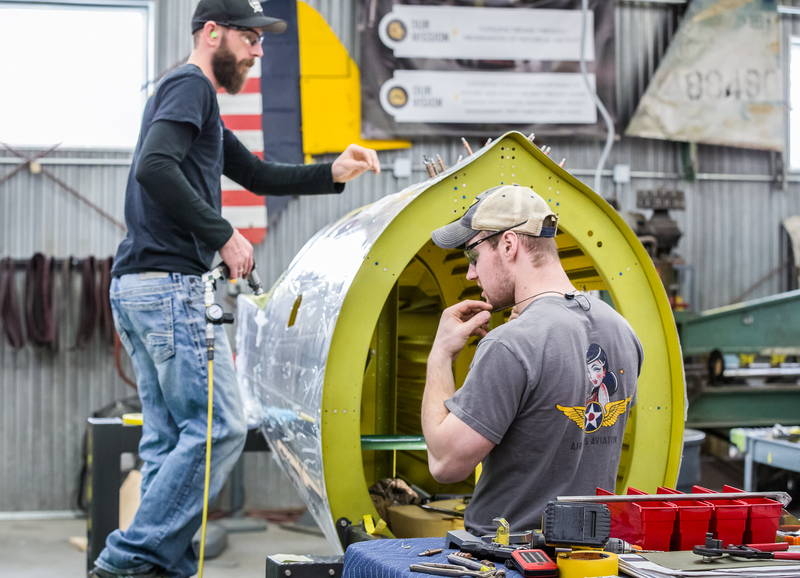 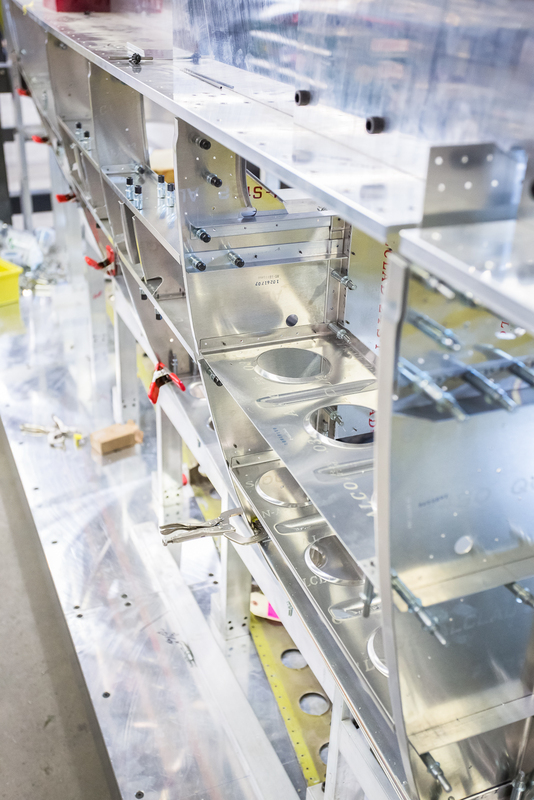 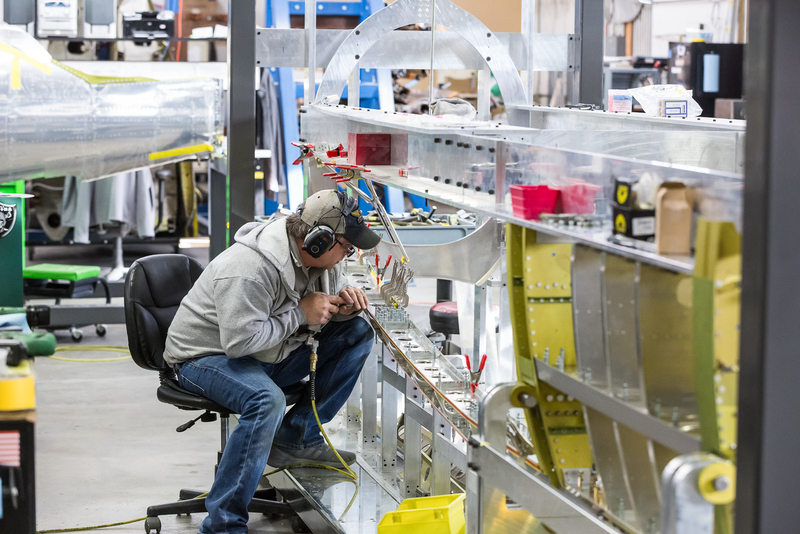 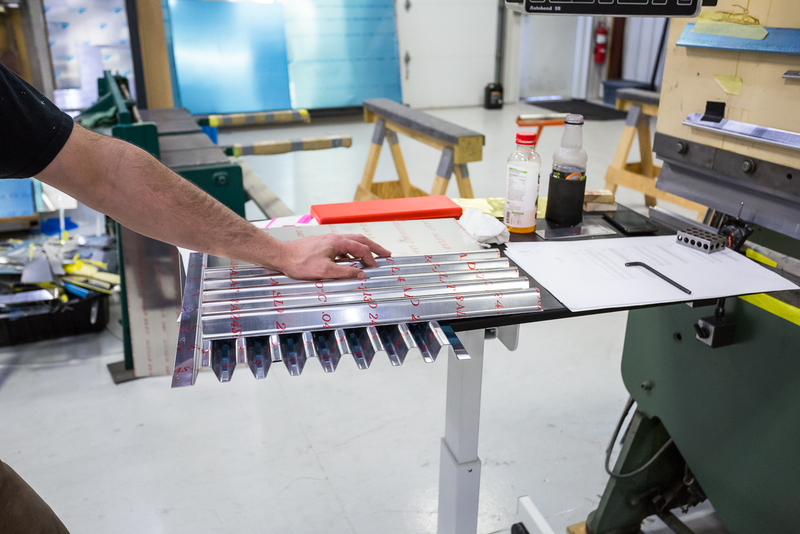 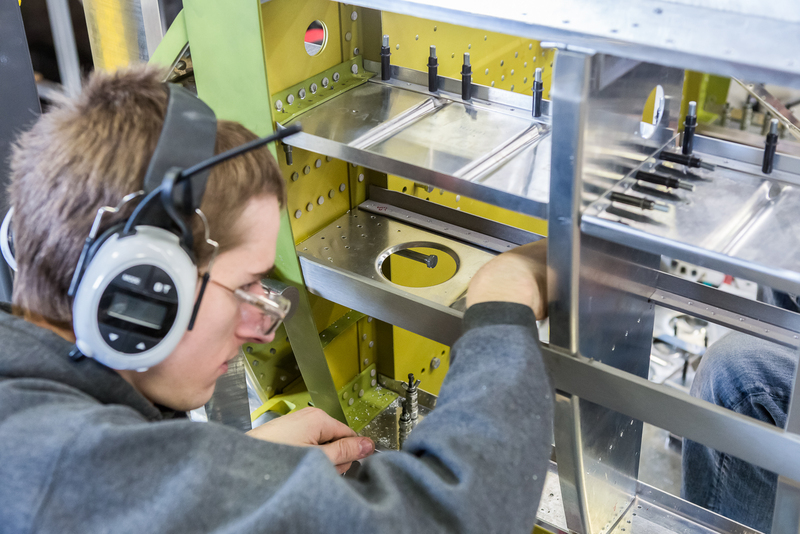 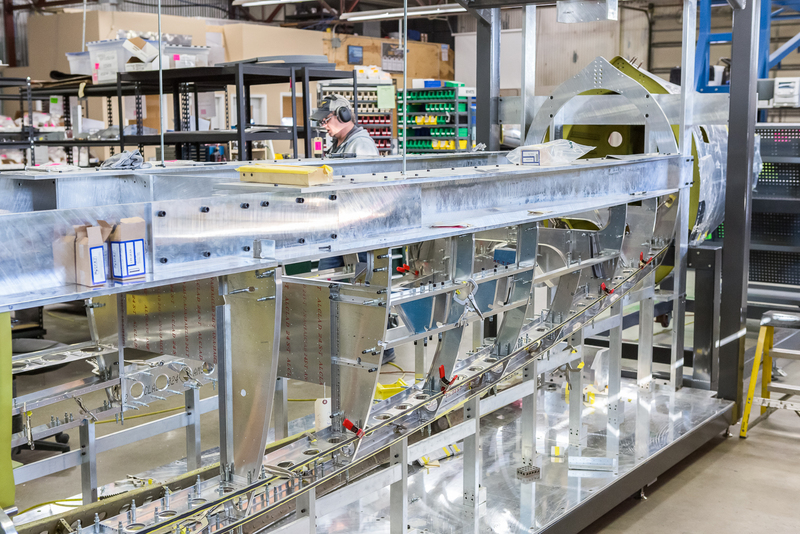 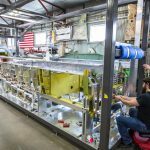 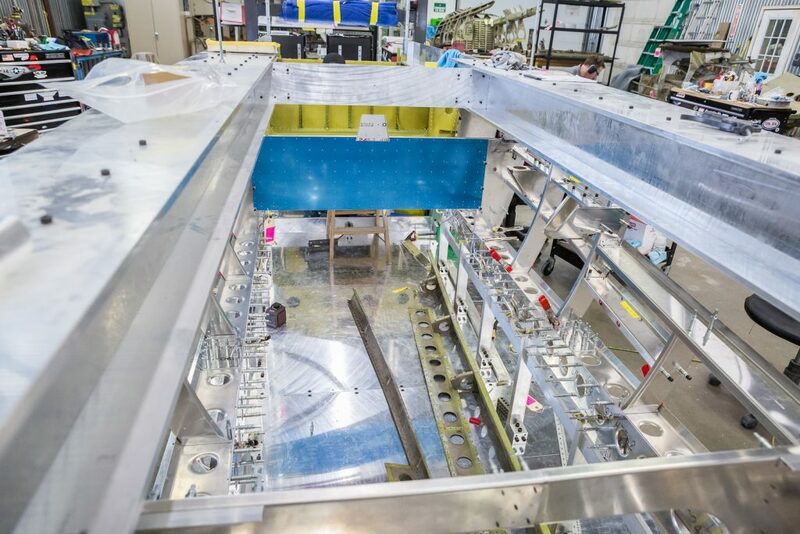 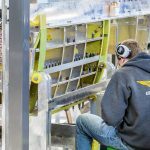 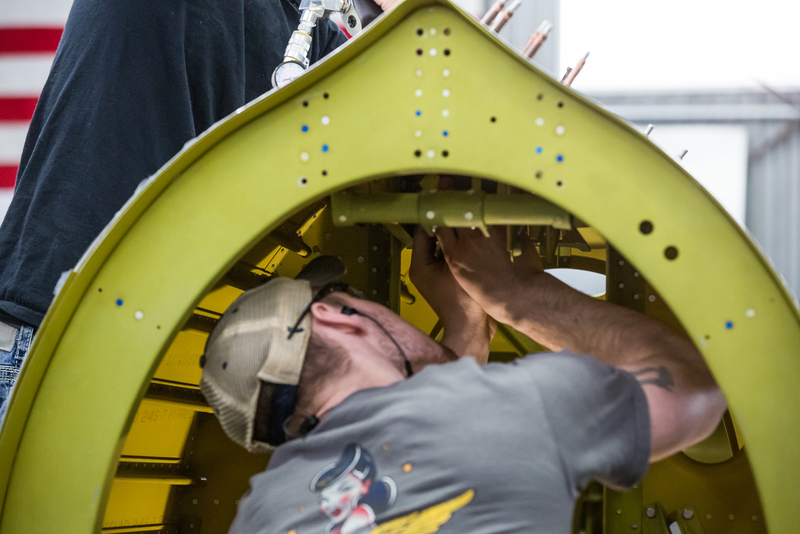 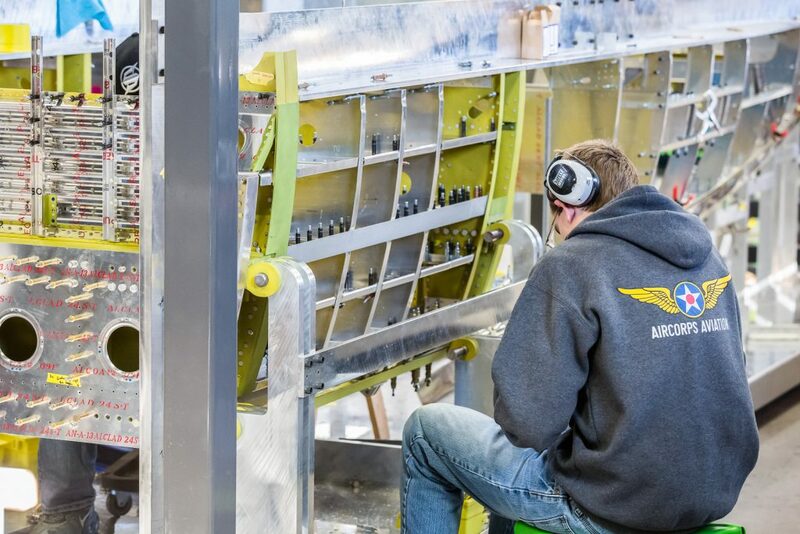 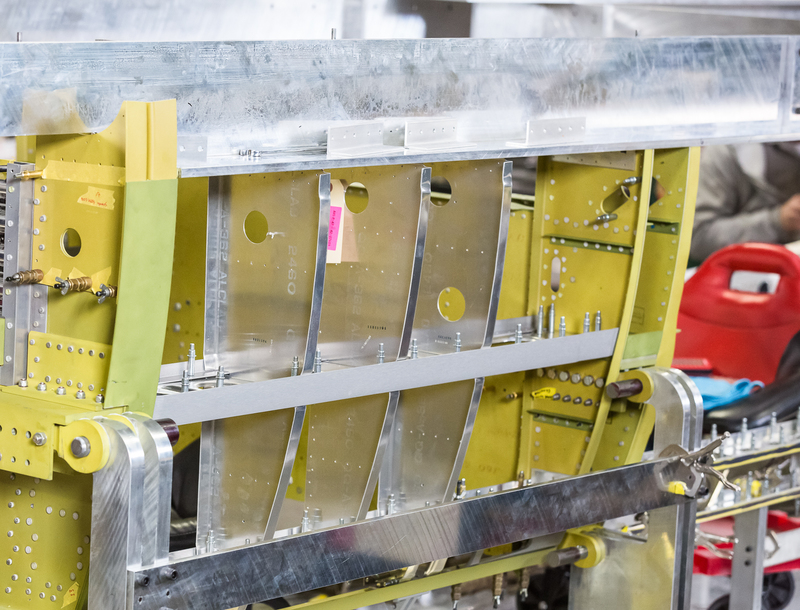 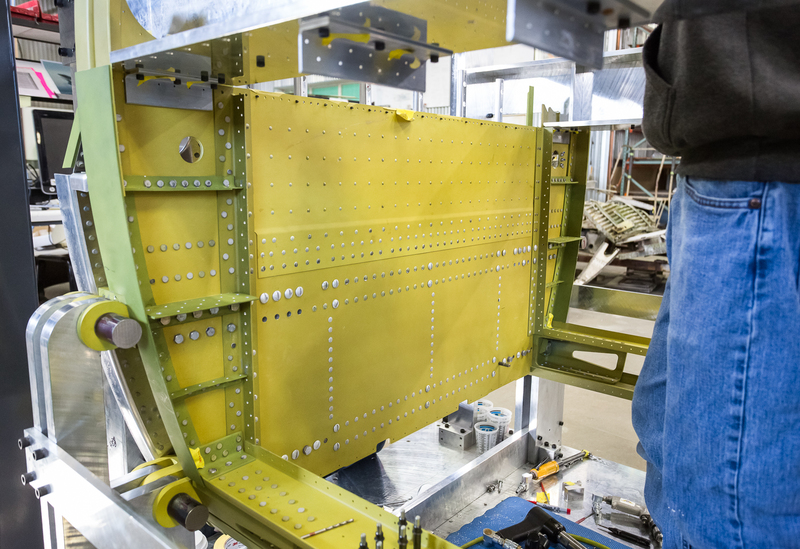 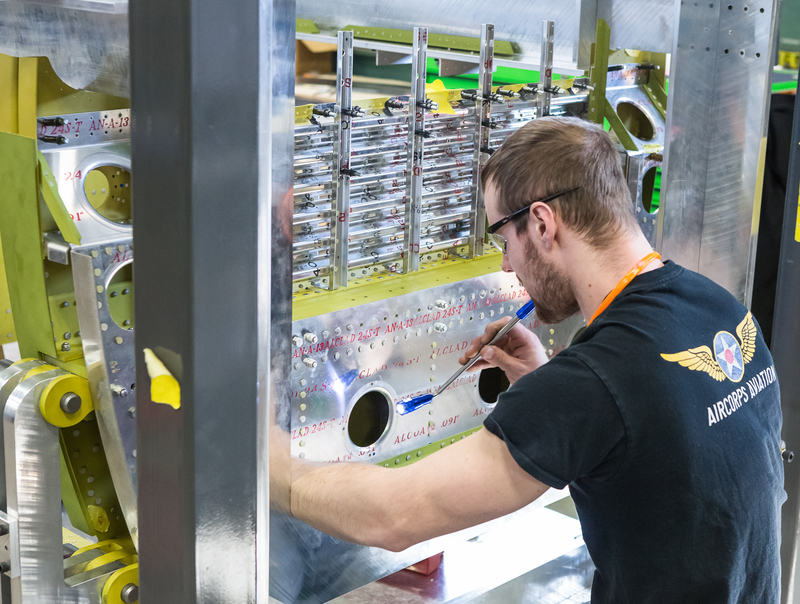 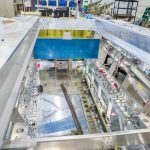 Though the aft fuselage, or tail cone, is substantially complete, there are always little finishing touches that prepare for later tasks, like equipment or systems installation. 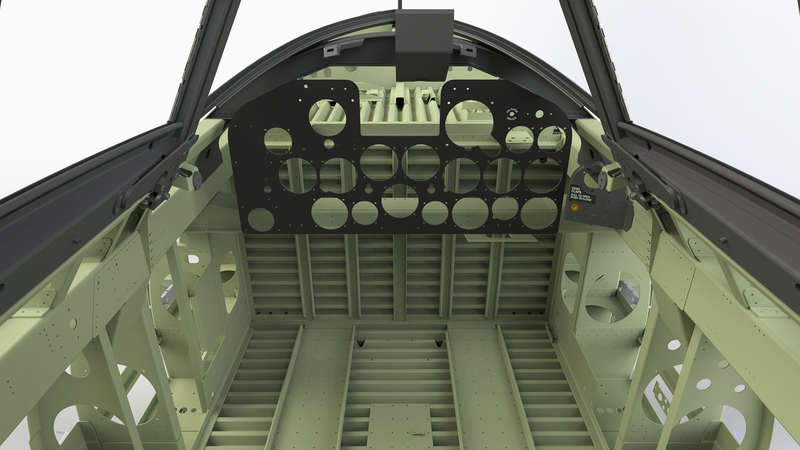 Rob McCune’s CAD rendering of the aft fuselage served as a great resource for visualizing how all the parts on the engineering drawings were to go together. 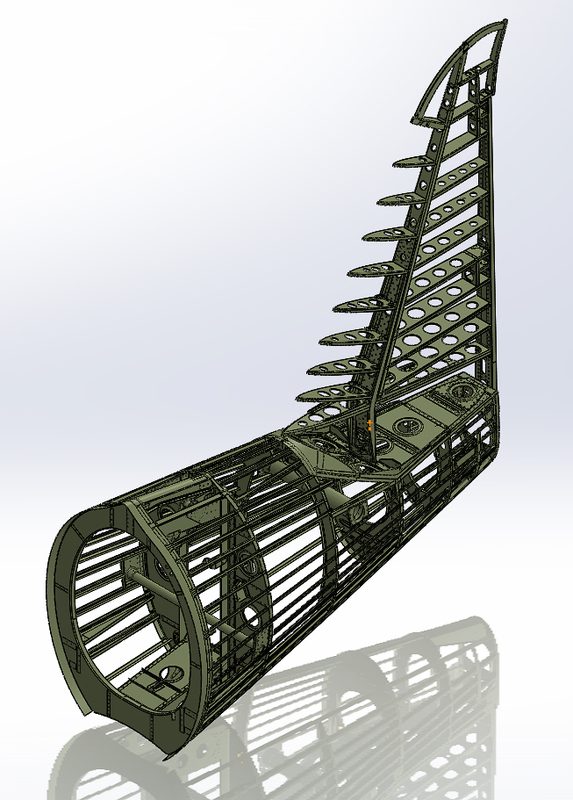 One of Rob’s CAD renderings shows the joint between the aft and forward fuselage as a wider former just ahead of the many aft fuselage stringers. 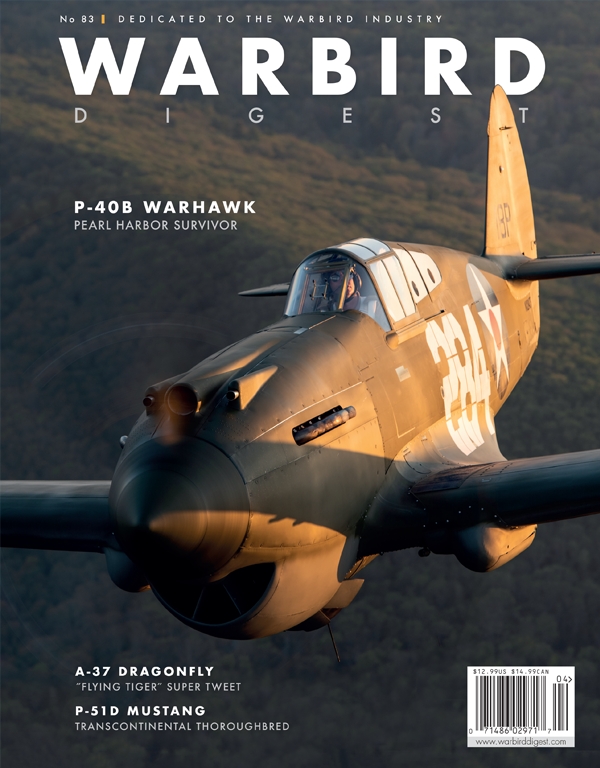 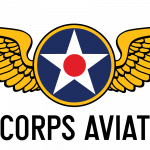 One design element used in the P-47 can be characterized as a carry-over from the early metal airframes dating way back to Hugo Junkers’ J series in WWI and on through the Ford trimotor, many 1930s airframes’ structures, and the Junkers Ju52. 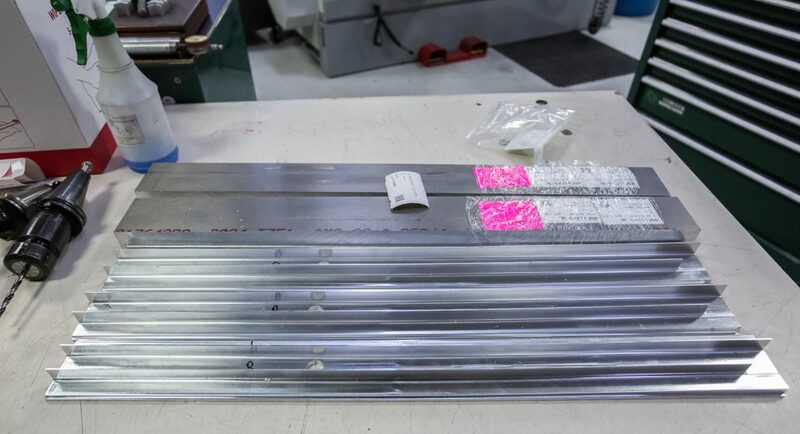 That element is corrugated aluminum. 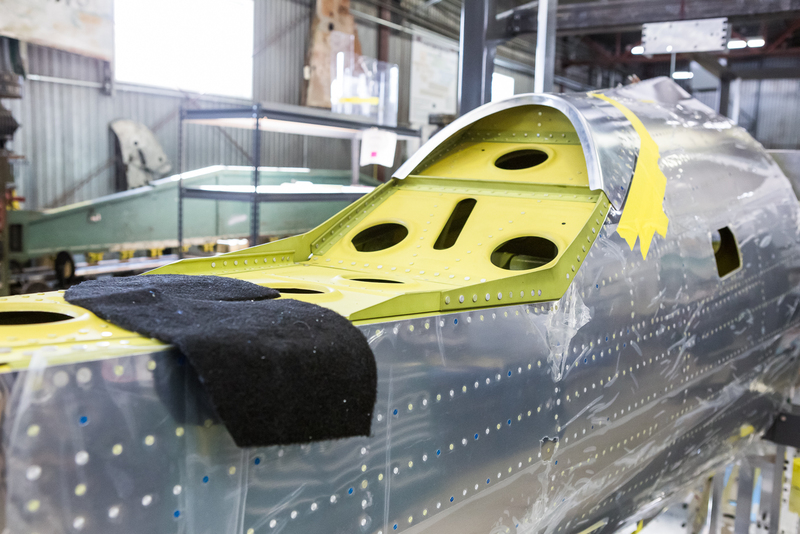 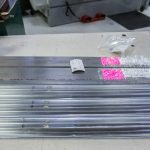 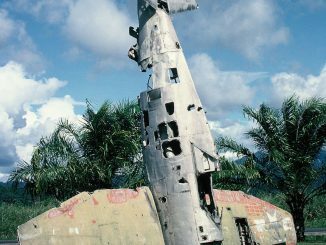 The corrugations are there to stiffen the skin in the early examples listed, but in the Thunderbolt it was commonly used on bulkheads inside the fuselage to stiffen those parts. 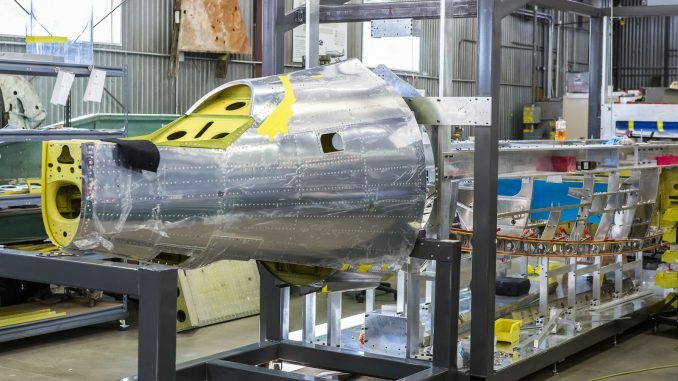 The use of corrugation in the P-47 shouldn’t be thought of as outdated for the time, though. 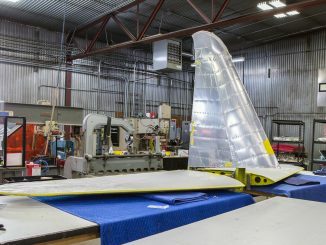 The technique is still used today: the Piper PA-28 family’s tail surfaces have stamped indentations on the vertical and horizontal tail surfaces for stiffening. 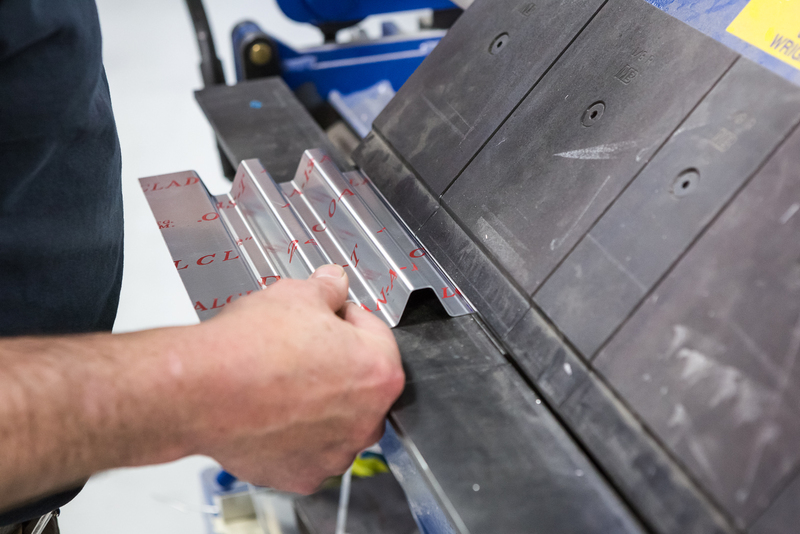 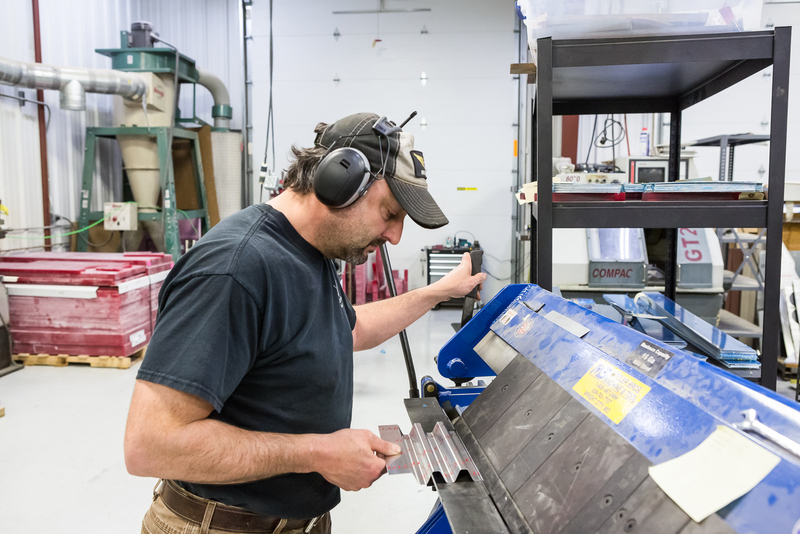 The corrugations are created using a die in a press brake. 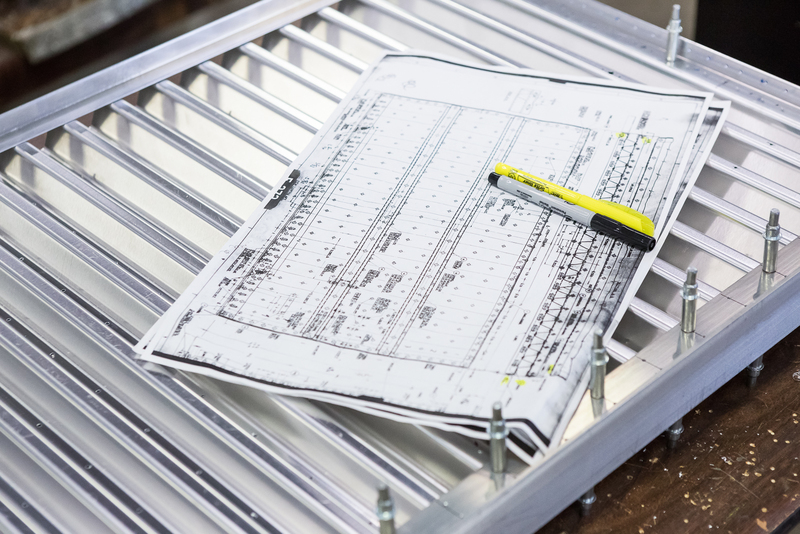 In this CAD rendering, we can see that particular panel as the lowest corrugated part in the drawing. 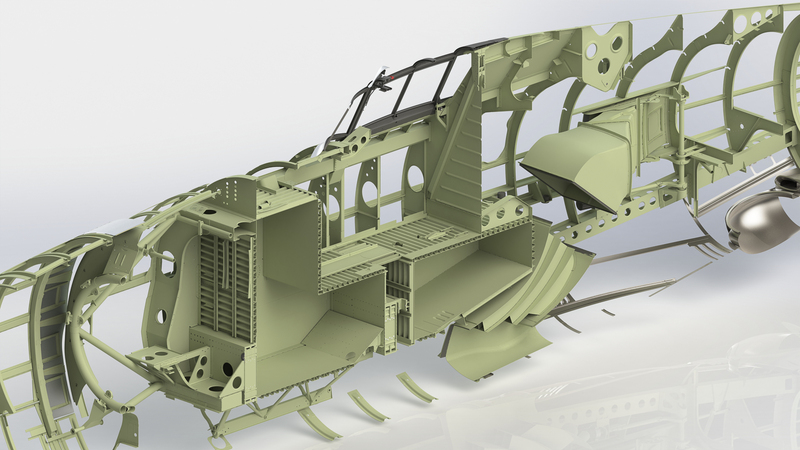 The assembly pictured in the last photo isn’t quite complete; it still needs some stiffeners riveted to it, which explains why it looks a little different in the CAD drawing. 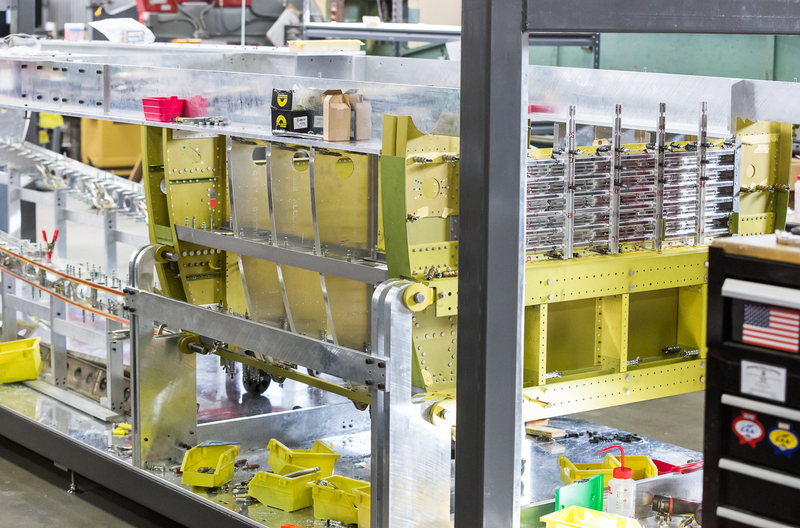 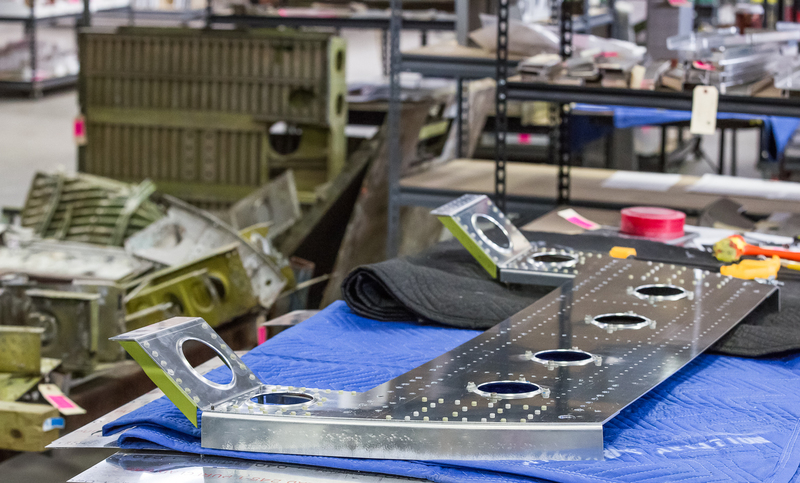 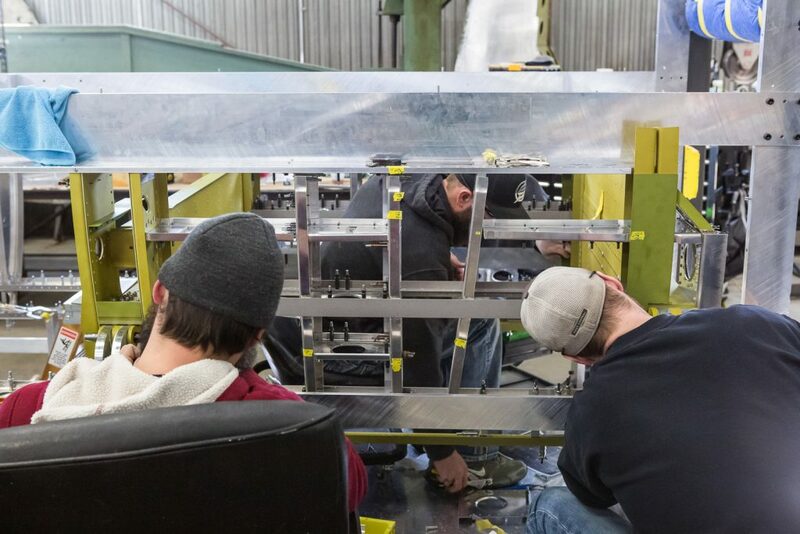 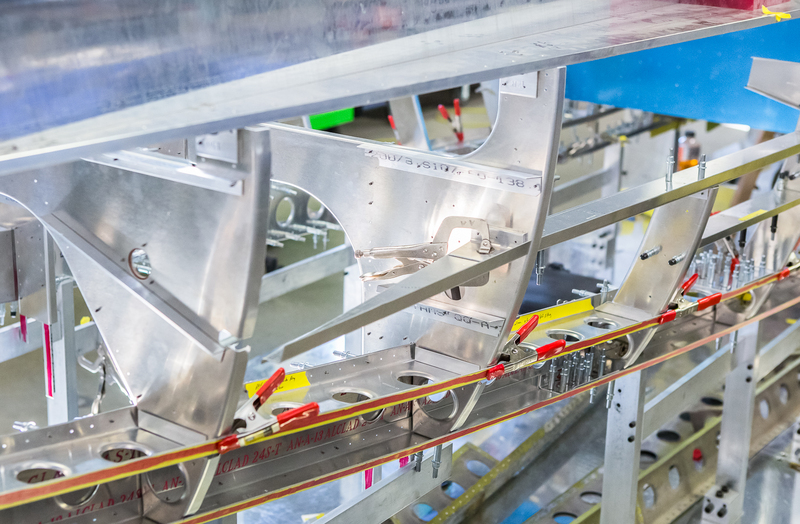 As the fuselage work progresses, assemblies and single parts are constantly being put together, trimmed, and readied for the upcoming steps in the restoration. 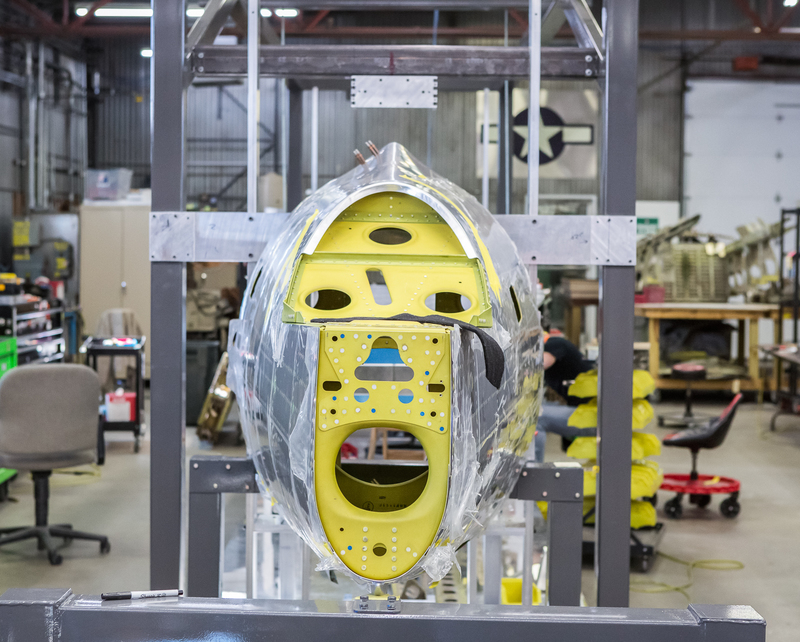 The inside of the cockpit will have quite a bit of visible corrugation. 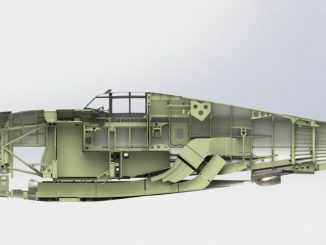 This drawings shows some of the fuselage stations. 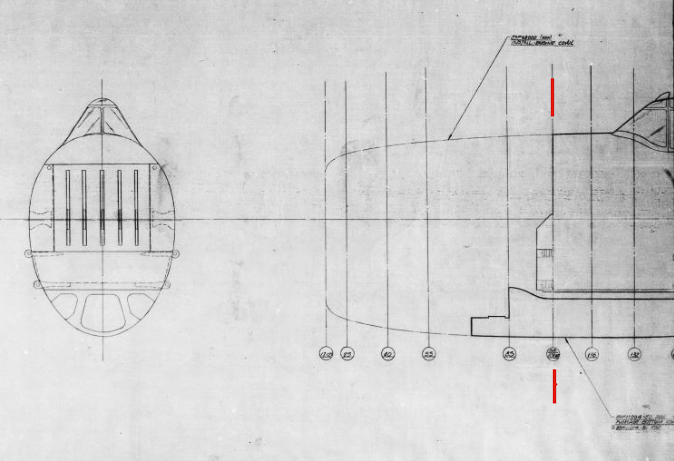 Station 101.625 is between the red marks added to the drawing. 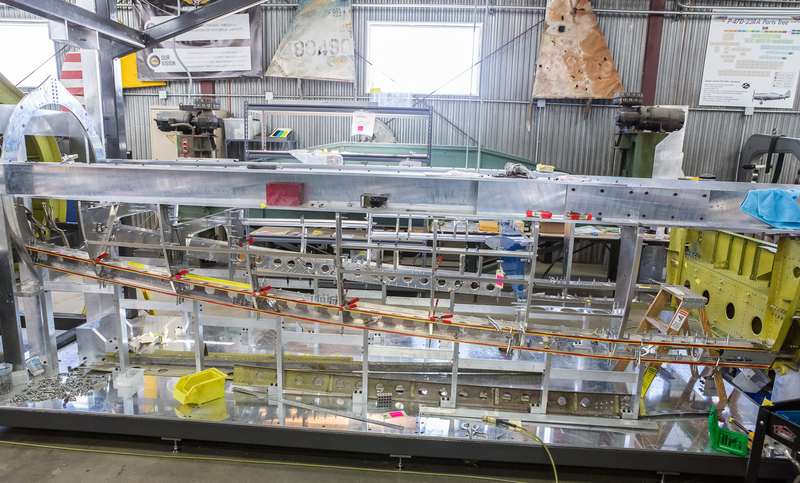 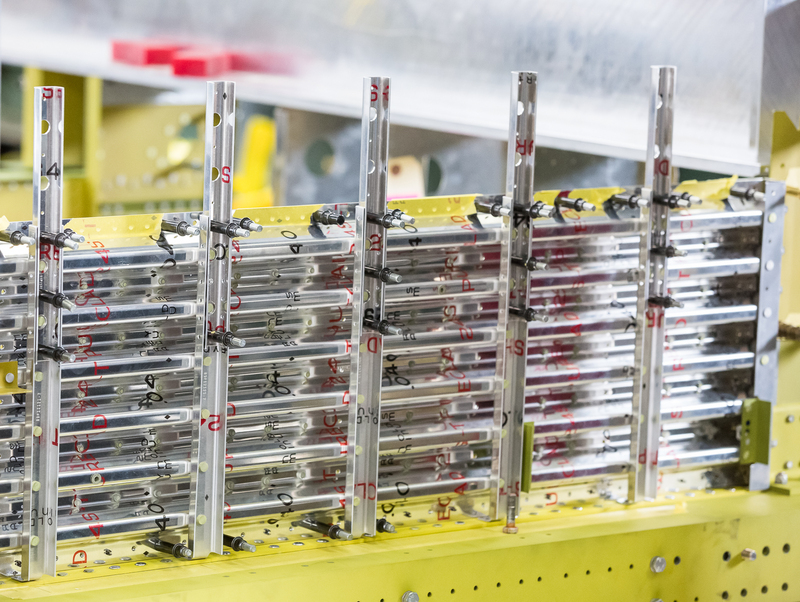 When the basic bottom structure has been completed, the beams will be removed and the top half of the fuselage will be built on the bottom half. 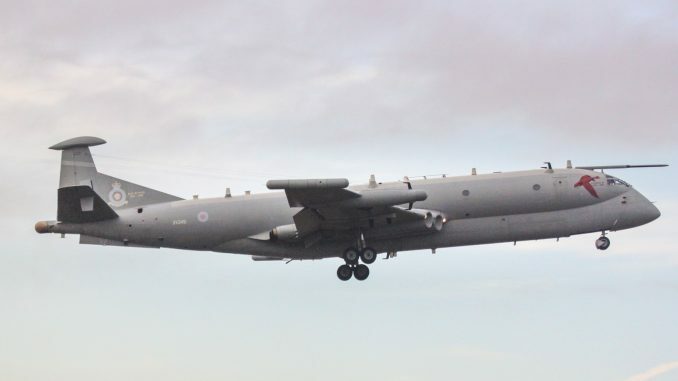 However I do wonder who has the money for all this or if it is not just another asset investment scheme? 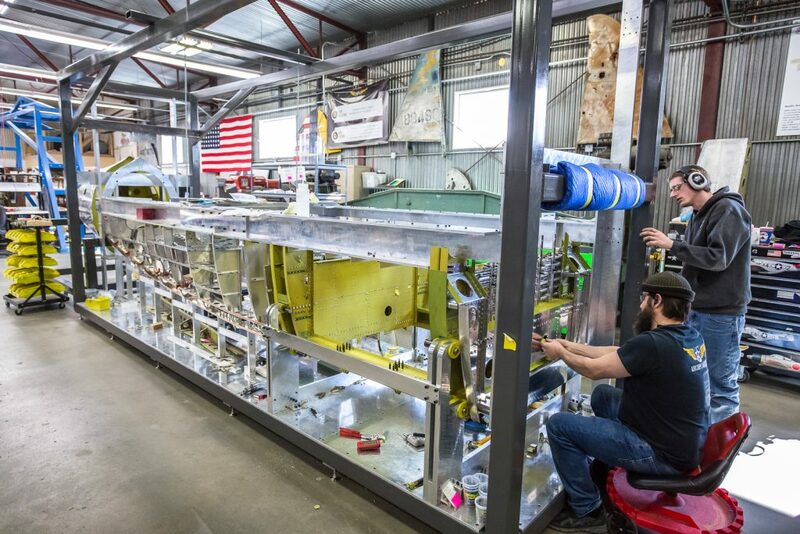 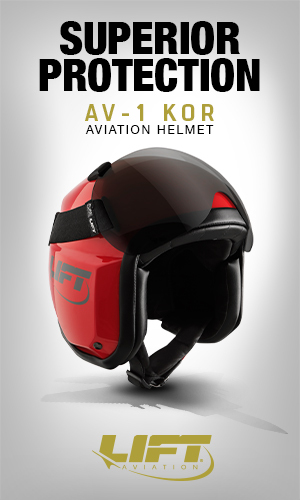 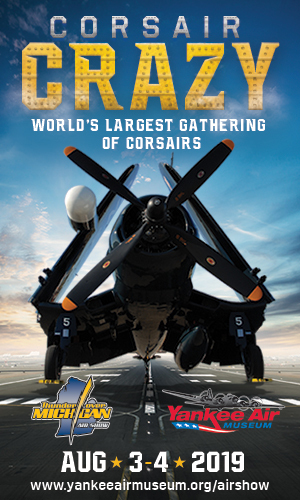 Any way, at least it keeps the crafts alive and training another generation of aircraft craftsmen. 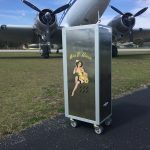 Amen, brother to that!! 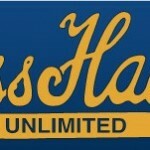 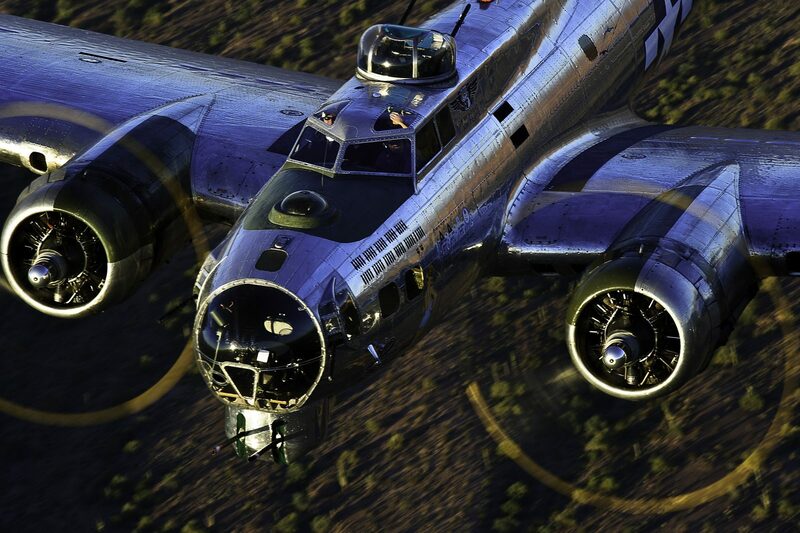 You are so right… It is incredible workmanship. 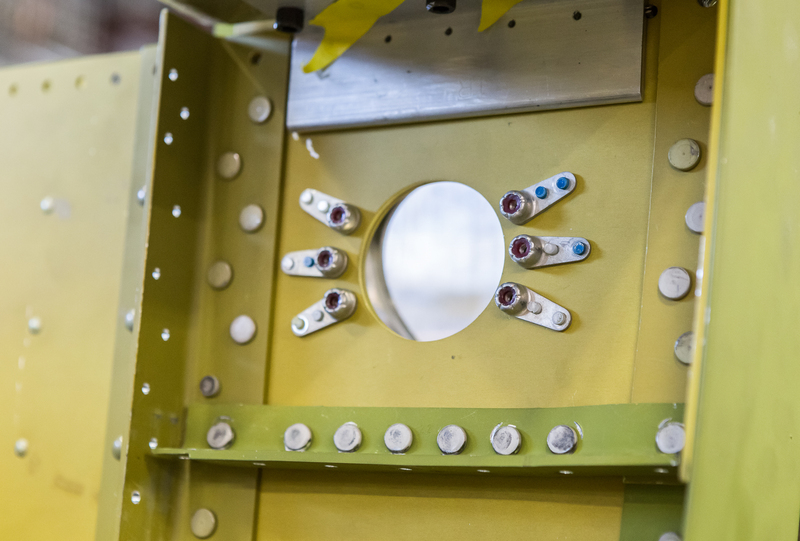 But you have to remember, there are quite a number of people willing to pay for this level of precision. 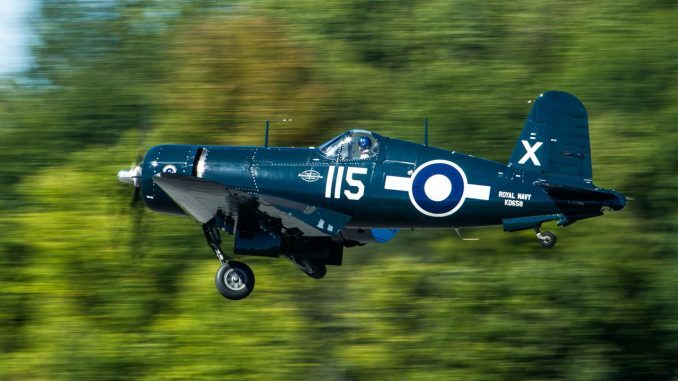 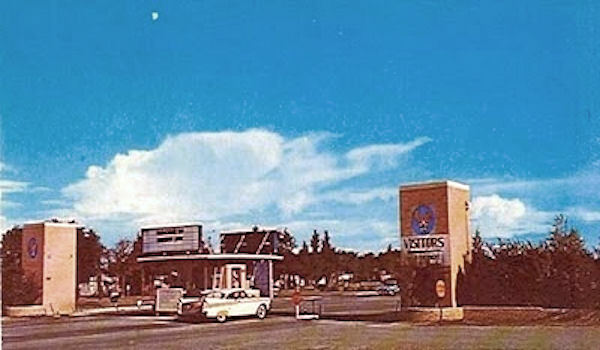 It may be asset investment for a few owners, but Texas Flying Legends wouldn’t fly their aircraft to all corners of America (and even beyond) if that were true for them. 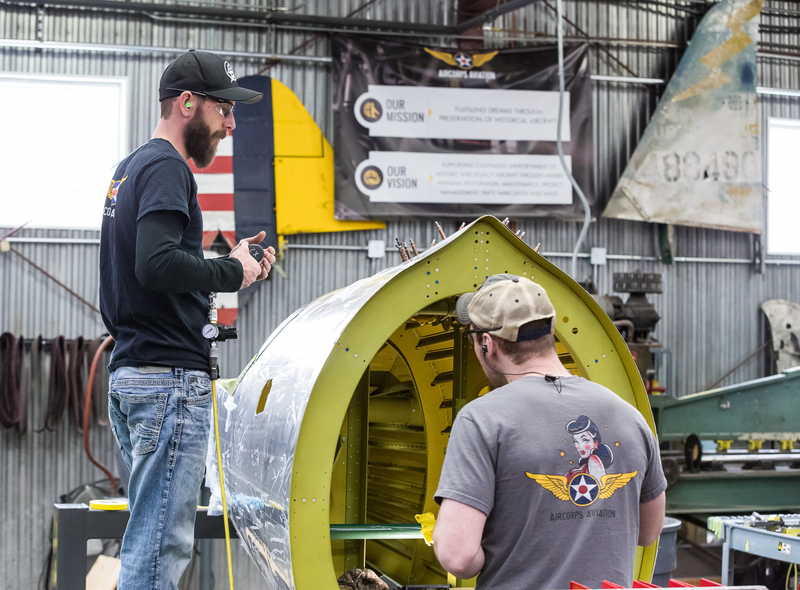 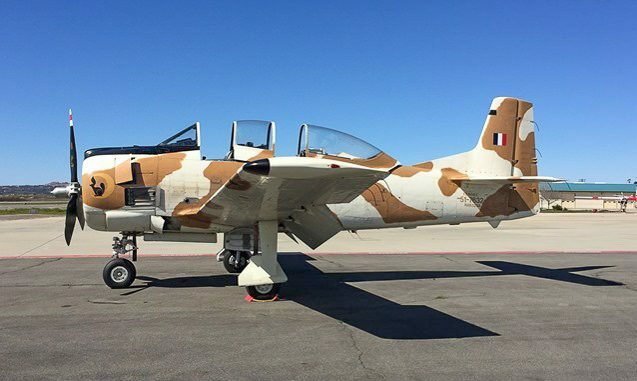 These guys want to share their passion for aviation history with the nation, and that’s a great thing!